Today dogs are living to a much older than they did 30 years ago. There are many factors contributing to this, including better vaccines and veterinary care, but one of the most important factors is better nutrition. The older dog is undergoing many physiologic changes, and because of these changes, it is recommended that you feed them differently than when they were a puppy. There are many 11-year-old dogs that can continue to be fed and exercised like three year old dogs. Here are some tips make your dog very active even if they are old. As dogs grow old, they will undergo several different changes. They may undergo behavioral changes associated with arthritis or old age cognitive dysfunction. They may not be tolerant of small children and may have restless sleep, accidents in the house. Their vision may begin to fade a little and they may have difficulty seeing in low light situations. Many senior dogs will not have the muscle strength or mass that they had as young dogs. They are going to be less active and need a warm comfortable bed. Their teeth are going to be worn and be prone to dental disease. Feed your dog with food at regular interval. You may serve measured meal, twice a day. Feed your pet on scheduled timings. If your dog is habitual of being rewarded with treats frequently, then you should be careful not to overdo it. Dogs are deprived of biotin, when they consume raw eggs. In addition, the consistent use of raw eggs in the dog’s diet may lead to dermatitis, loss of hair and poor growth of your pet. Fish is high in protein content and hence, it should be included in your dog’s diet. However, make sure that you provide cooked fish to your pet, because the consumption of raw fish has been cited as the cause of vitamin deficiencies in dogs. The daily intake of balanced food, rich in all the essential nutrients, nearly eliminates the need of supplements. Avoid feeding your dog with table scraps, because it develops the bad habit of begging. Moreover, table scraps do not find any place in the balanced diet and may cause harm to your pet’s smooth bowel movement. In case you are feeding your pet with shop-bought dog food, ensure that you have chosen a well-known brand. 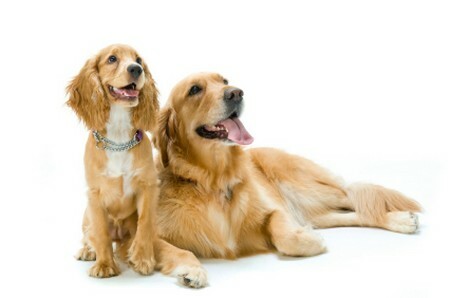 Good quality is the prerequisite for the good health of the pet. Ensure that you have chosen the food according to the age, weight, breed and special needs of the dog.